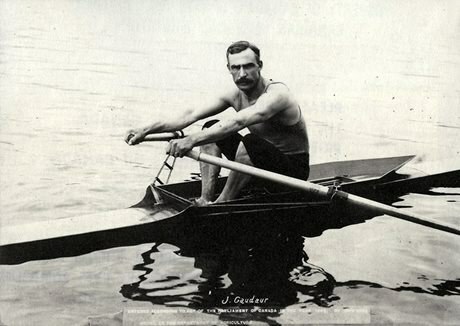 One of the world's greatest oarsmen, Jacob Gill Gaudaur (1858-1937) was born and lived in Orillia. With Hosmer of the United States, he won the world championship in the double sculls on Lake Couchiching (Orillia) in 1892. He established a world's record for three miles with a turn at Austin, Texas, in 1893 and improved his own time for that event the following year. 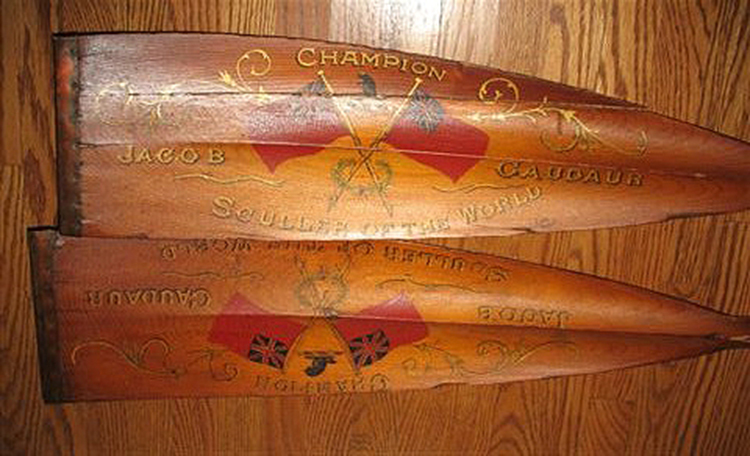 In 1896, he won the world single sculls championship on the Thames, England, and in 1898 successfully defended that title in Vancouver, British Columbia. Following his loss of the singles championship to George Towns at Rat Portage (Kenora) in 1901, Gaudaur retired from competition. He was 43 years old. Visit the Ontario Heritage Trust’s provincial plaque in Couchiching Beach Park on Centennial Drive in Orillia, Ontario. Learn more about Gaudaur on the Canada’s Sports Hall of Fame website. Read Gaudaur’s obituary from the Montreal Gazette on October 12, 1937.